The composite project BayTreeNet combines climate modeling, dendroecology, and educational research in a unique interdisciplinary approach. 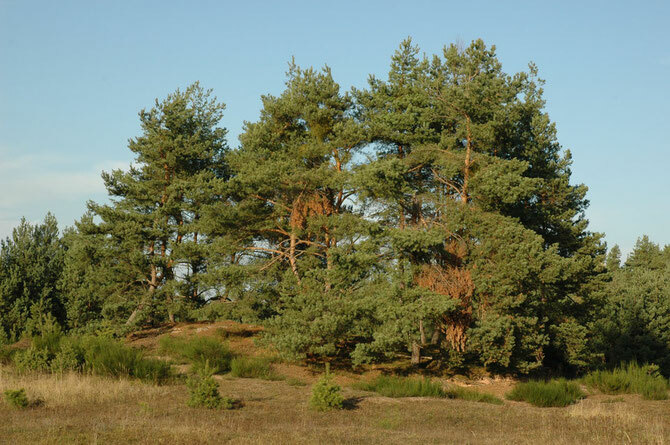 It studies the response of forest ecosystems to the current climate dynamics over the free state of Bavaria. A network of forest sites is designed in a way that the impacts of specific weather types on the growth and ecophysiology of major tree species is reflected for different growth regions. By using climate model scenarios, these tree responses will be modeled for climate conditions at the end of the 21 st century. The created monitoring network will allow the quantification of forests on changes in the frequency of specific weather types and reveal potential risks for the vitality of affected forest regions. In each study region, one tree will be selected in a place accessible to the interested public and will be equipped with an internet-based transmission unit to visualize tree reactions to local climate conditions in real time. Each of these “talking trees” is looked after by a partner school that will translate the tree reactions into human spoken messages. The development of a teaching concept related to the „talking trees“ will be accompanied by research. My using this technically innovative and motivating approach, the spatially explicit effects of concrete climate events on Bavarian forest ecosystems will be illustrated to students and the public.